This is great news! After Monday’s stock market crash, when markets posted their largest decline in years, markets are in recovery mode and back on the up swing! “When stock markets take a turn for the worse, it’s easy for investors to get overwhelmed. Perfectly rational adults with diversified, long-term investments are suddenly confronted with terrifying headlines, alerts, and warnings. Their first panicked instinct – sell everything without thinking.” WRONG! It’s best to look for opportunity where others don’t, in this situation it makes perfect sense to “buy low & sell high”! 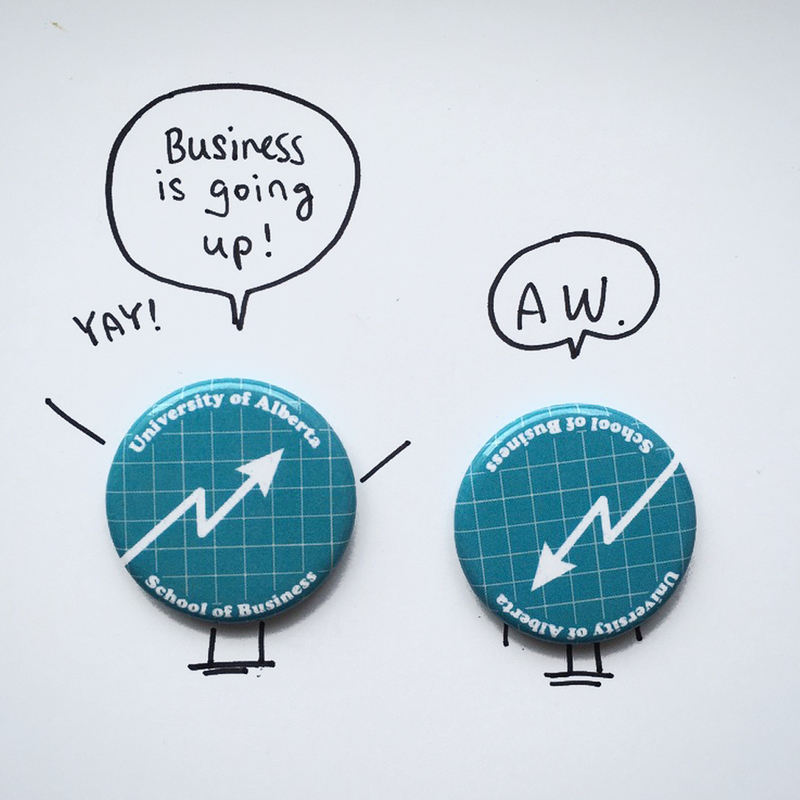 You can bet the students & faculty of University of Alberta’s School of Business have a lot to talk about when classes resume in a couple weeks – they have a big box of buttons to prove it! Six Cent Press is working hard, fulfilling deadlines, and shipping all of those ‘Back to School’ buttons to every university and college campus in Canada!